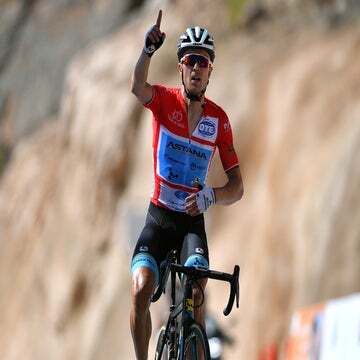 VALKENBURG, Netherlands (AFP) — Kazakh Alexey Lutsenko won the men’s world U23 road race title on Saturday in a bunch finish that concluded the 177km contest. The 20-year-old, who rides for the Astana team’s Continental outfit, just got the better of another 20-year-old, Frenchman Bryan Coquard, who had to settle for silver. Coquard was the silver medalist in the omnium on the track at the London Olympics. Belgium’s Tom Van Asbroeck was a close third while Hugo Houle of Canada was fourth.